Maureen Carter is an excellent crime writer. But if you go back in for a close read after enjoying the story, you will begin to see that excellence would apply to any genre. Maureen’s books are case studies in the type of literary techniques that create vibrant narrative and keep a reader glued to the pages. Grave Affairs is the eighth Bev Morriss book. How do you keep the stories fresh when writing a series? There are two main points that I would make, firstly that the story is always going to be different and I always try to reflect something that’s topical. Secondly, series tend to be character driven. If you have really strong and well developed characters then, like people in our lives, they change and develop. As T S Elliot said ‘We die to each other daily. What we know of other people is only our memory of the moments during which we knew them. And they have changed since then.‘ People do change as situations change. Curved balls are thrown at them, and it’s how they deal with it. So I think if you have a strong main character, like Bev Morriss, I feel I know her very well indeed. I know how she would think and speak and I rather like her. 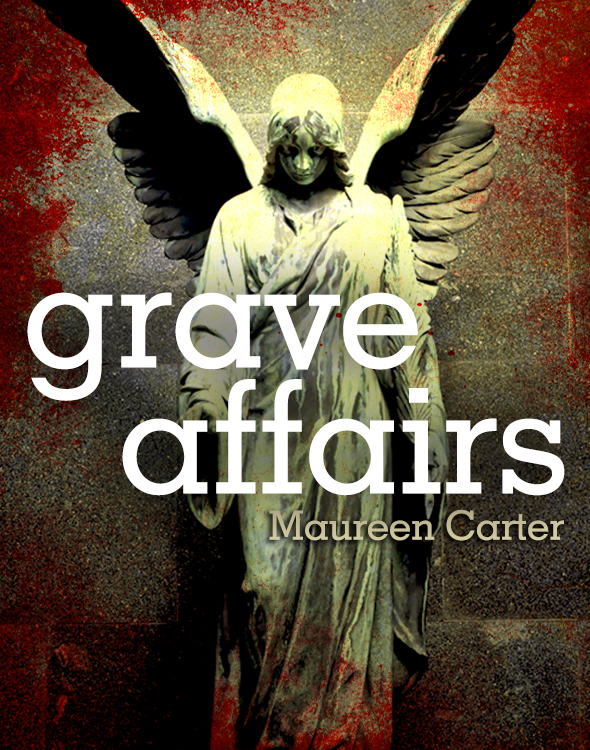 It is a challenge because as you said Grave Affairs is the eighth book in the series and writing doesn’t get any easier, but what would be the point if I were just churning the same thing out anyway. Form the writer’s point of the writing has to remain fresh and creative. That sets the writer a challenge. You talk about getting very involved with the character, so there might be a tendency to allow the story to slip into the background and the danger of a crime novel developing into a bit of a soap opera. How do you avoid this? This is a good point and something a writer of a series needs to be very aware of, because the books should primarily be a page turning story. It should be a story that gets the reader involved and makes them think, but at the same time you have to keep these people’s personal lives going as well. I suppose you learn to weave the strands. There’s something in my head that says ‘I think we’ve had enough of that now. I need to “cut to the chase” here and have some action’. It’s the same in any genre. It’s knowing when to change the gear. It’s certainly what I look for when I’m reading a book. It is something you do recognise. Take for example if you’re reading a book, you begin to feel a scene has gone on too long because you don’t need to know that the wallpaper had a pink rose pattern and every little detail of it, because that’s not what that story’s about. When someone picks up your book you have to engage, entertain and interest them for three to four hours (if they’re sitting down at one go to read it) or at least over a substantial period of time on and off. It’s your duty as a writer to connect with them if you can. It’s almost instinctive with me. I know when I’ve gone on too long on a particular point for a particular scene and I want to change it. I want to get the reader thinking in a different way and put different pictures in the reader’s head. It’s instinct married with experience. How much interaction do you have with your readers? I always respond to readers who get in touch with me, because I love writing. It’s a real privilege to make a living as a writer. I don’t do it for me. I do it so people will read and enjoy the books. If a reader takes the trouble to contact me about the book, whether it’s good or bad then I think that’s a really great thing. Every reader will have a different take on the book that you’ve written and some of my readers get incredibly involved with what’s happening in Bev’s life. It’s four years since a new Bev Morriss book came out and I still get e-mails from readers asking ‘What’s happened to her?’ If I do something they don’t like very much they’re not backward in coming forward and telling me about it. I have managed to upset a few readers because of things that have happened to the characters and it really made me realise what a responsibility I have to the readers. As a writer you forget what an impact books can have on people, because they get really involved and fascinated. I think that’s the most wonderful thing because why else would we write? I think the reason your readers do get so involved is because of the way you’ve written your characters. Bev is certainly an intriguing protagonist. Why did you decide to create someone who’s very forthright and full of quips, because she could run the risk of becoming a cliché? I first wrote her as a walk on part in an unpublished book I wrote fourteen years ago. She was a very minor character. 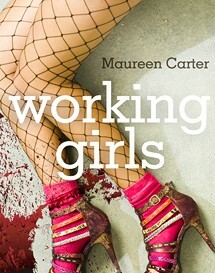 When I sat down to write Working Girls, the first in the Bev Morriss book I realised I could use her. I initially saw her as Byford’s bagman or sidekick. I don’t think characters take over and surprise you because you create and control them, but for some reason she was getting all the best lines. I also thought she could interact so much better with the young prostitutes (which is what the book is all about) than with a old school cops like Byford or Powell. The more I wrote her character the more I visualised her and could hear how she would speak, walk and dress. At that time there were not that many female detectives. You had Jane Tennison in the Prime Suspect series, but almost all of the crime fiction I was aware of at the time featured white, middle-aged blokes who had an alcohol or drug problems or a bad marriage. I thought I’d rather write about someone completely different. So I see Bev Morriss not as a cliché but a pioneer. She does have a very particular voice and because of that you have your reader laughing one minute then suddenly sobering up the next. Does this just happen as you’re writing or is it a conscious decision? A bit of both. A lot of that is to do with the gear changing we talked about earlier and to change the reader expectation (known a ‘flipping the signpost’ in Hollywood). The reader is going down a particular path and you want them to think a bit more about what’s happening. So that part of it is quite deliberate. I noticed in Grave Matters that Bev is cleaning bird mess off a cross marking the grave of someone she knows while talking very rudely to her boss and thinking about ways of scaring the birds off so they wouldn’t perch on the grave marker and make a mess. This split way of narrating the story is a brilliant way of indirectly describing her state of mind, but could be confusing if not done well. It’s one of these things you can do or you can’t. I hope that the way I do it works. What you have to bear in mind is that I go through and edit the books countless times and if anything jars with me, then it’s going to jar with the reader. I think a lot of it has to do with how you write it. The rhythm of it and the way you set out the words on the page. I think the worst thing you can do as a writer is be pedestrian and write by numbers. People either really like my writing or they don’t, because it is very distinctive. I think writers have to bring something different to the table. Everything that’s in the book should be there for different reasons on different levels. I was at a crime festival a few years ago where Janet Evanovich was being interviewed. She said something very significant which was ‘The easier it looks, the harder it is’. It’s easy to write flowery passages and ‘purple padding’, it’s much more difficult not to overwrite. I want to make every word count and try to write accessible books with characters that engage, connect and entertain and at the same make it look easy. You are able to compress an enormous amount of information into such a small space. Take for example the appearance of Mac in the squad room. We get a whole physical description and recent biography in three hilarious sentences. I would argue that I try to make my writing style accessible, but my prose is very spare. I can certainly spot in my own work and many other writer’s work superfluous whole sentences, words and paragraphs at a hundred yards and they offend me. I think this is because of my journalistic background. I’m so used to having to write incredibly tightly and to a deadline that you couldn’t afford a spare word. In broadcasting you have to write three words to a second and if you have to do a one minute fifteen second piece for the lunchtime bulletin. If you write four words to a second you’re going to overrun and crash into the next programme. So it’s very important to me that every word earns its place and if it doesn’t it won’t be there. An element of that which is very important for me is to read out loud. You even have to put on the different voices and act it out, because it’s the rhythm of the words. If it doesn’t sing to me, then there’s a bum note somewhere or a superfluous word. Even the way the punctuation appears on the page, is all part and parcel of something very important. All of those parts have to be as right as you can get it. Nothing’s ever perfect and when you start writing a book you want to do all sorts of things with your writing, but you can never achieve what you have in your head. I suppose that’s why writers like me keep on doing it. You spoke about reading your work out loud. This is actually something that has been done professionally because your first Bev Morriss book Working Girls is also in audiobook format. What do you think Frances Barber’s performance brings to your novel? I’m lucky too that the second book in the series, Dead Old, has just been released on audio. It’s brilliantly narrated by the actress Clare Corbett. I love her interpretation. And Frances Barber’s narration is remarkable. I sat and listened to the audiobook in two sessions, because it is unabridged. I wrote Working Girls in 2000. Frances’s narration, not only in delivery and pace, really had me on the edge of the seat in places, but she actually made me visualise some of the characters in a different way. Like most writers I couldn’t write my characters without having a very clear picture of them in my head, down to the detail of a wart or a hair. The voices Frances attributed the girls in the book and the way she spoke really changed my images of them. There are also parts of the book where the way Frances read it brought tears to my eyes, because it was so sad. Then again, some of the dialogue made me laugh out loud. I was very moved by the whole experience. In fact listening to the book took me back all those years to when I first began Working Girls, because it was my ‘make or break’ moment. I had written four unpublished novels. I had so many rejections, although I had come close in some cases. So I thought ‘This is going to be my last attempt to get a book out there, because there are only so many brick wall against which I can bang my head.’ I also thought ‘If this doesn’t do it Maureen you will not have failed, but you will not have succeeded’. So for me Working Girls was a really important thing in my life because I had given up a fairly good career, because I wanted to be a published writer. When the audiobook arrived in the post from Creative Content it really took me back on the journey I’d been through and which that book had been through. 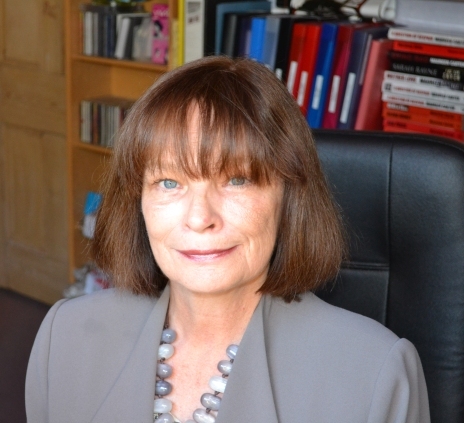 I could not have imagined when I sat down to write that thinking ‘If this doesn’t work, that’s it’ I would be sitting at home listening to Frances Barber (one of my favourite actors) reading the words that I had written all those years ago. That was a magic moment.